Camilleri’s ‘Malta Suite’, widely considered the island’s musical emblem, will feature in next Sunday’s MPO ‘Symphonic Dances’ Concert, at Pjazza San Ġorġ, at 9pm. The event, supported by the Valletta 2018 Foundation as part of the Malta International Arts Festival, is free of charge and open to the general public. The Valletta 2018 Foundation and the Malta Philharmonic Orchestra today released the first recording under the international label Naxos of three major works by the late Maltese composer Charles Camilleri. Besides Camilleri’s ‘Malta Suite’, the MPO will also be performing ZoltánKodály’s ‘Dances from Galanta’ and Sergei Rachmaninov’s ‘Symphonic Dances’, under the baton of Jean Marc Burfin. Valletta 2018 Foundation Chairman Jason Micallef said “the Naxos recording of Charles Camilleri’s works is an excellent example of cross-entity collaboration, in this case between the Valletta 2018 Foundation and the Malta Philharmonic Orchestra and will be a significant and important part of the cultural legacy Valletta 2018 will leave behind”. Mr Micallef invited members of the general public to the MPO ‘Symphonic Dances’ concert noting this is part of a series of initiatives making the arts and culture accessible to all. 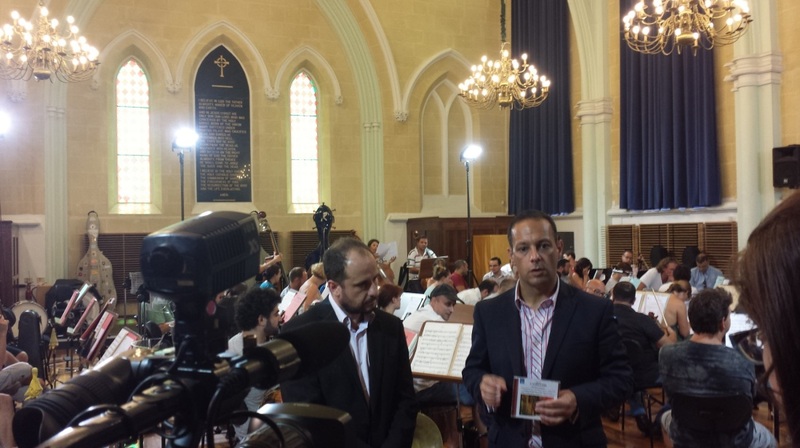 MPO Chairman Sigmund Mifsud remarked “the Naxos recording is one in a series of initiatives between Valletta 2018 and the MPO. This and similar projects in the pipeline, promote the works of Maltese composers and musicians while putting Malta and the MPO on the international map through the recording label’s distribution channels”. Titled ‘Mediterranean’, the Charles Camilleri CD also features the Piano Concerto No. 1 performed by soloist Charlene Farrugia and the Accordion Concerto with Franko Bazac as soloist. Naxos is one of the world’s leading Classical Music labels and has redefined how classical music is presented and marketed. Innovative strategies of recording exciting new repertoire with exceptional talent have enabled the label to develop one of the largest and fastest growing catalogues of unduplicated repertoire available anywhere, with state-of-the-art sound and consumer-friendly prices.